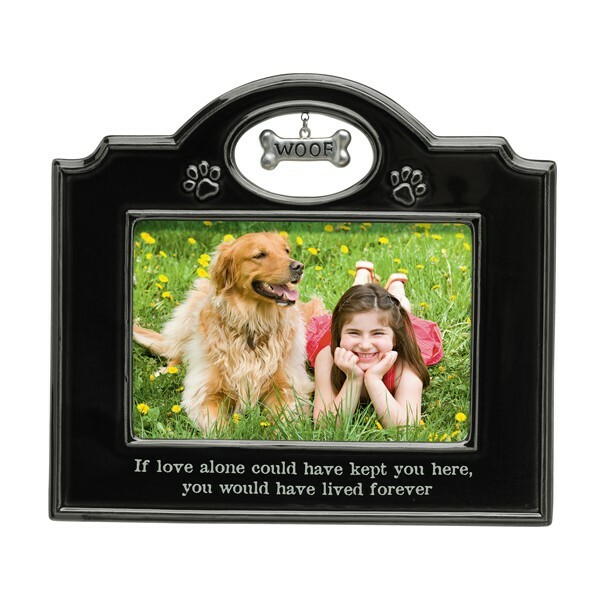 "If love alone could have kept you here, you would have lived forever", is the sentiment displayed under your pet's photo on this photo frame. Made of ceramic, this black frame is embellished with a paw print in each upper corner and a hanging metal bone with the word "woof" in the center. A sleek, beautiful way to add to a pet's memorial spot in your home or as a thoughtful bereavement gift. 7 5/16" x 8 1/8"